William Forsythe on working as a stripper - "It’s great money" - and working with dancers - "You revive their faith"
I worked as a stripper. Why not? It’s great money. Refreshingly forthright. It’s difficult to imagine Frederick Ashton saying such a thing. he adds, enthused by the recollection. I just thought everyone loved my dancing. I probably looked great at 19. I must have, because I earned a shitload of cash. Forsythe, the dancer, was a late starter and began studying at the Joffrey Ballet School in New York in 1969 when he was 20, abandoning his newly-found career as a stripper. Two years later he began his professional dancing career as an apprentice with the Joffrey company. He joined Stuttgart Ballet in 1973 where he choreographed his first piece in 1976 and he became Stuttgart’s resident choreographer in 1978. Two years later he left to begin life as a freelance choreographer before becoming the artistic director of the Frankfurt company in 1984, a position he held for 20 years. In the Middle, Somewhat Elevated wasn’t the first piece he created for Paris Opera Ballet (at Rudolf Nureyev’s request) but it remains his most famous. It was in 1987 and featured the 22-year-old Sylvie Guillem. After that, everyone knew his name, and arguably the piece changed the course of ballet seeing that it entered repertories of companies around the globe, causing the Guillem 12 o’clock leg to become the norm. 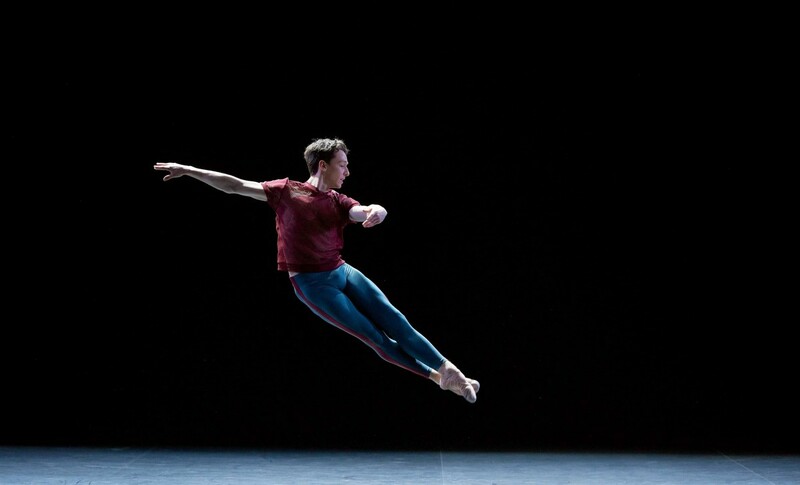 Forsythe recently created a new piece, Playlist (Track 1, 2), for the English National Ballet. Don’t young dancers get daunted when the In the Middle choreographer arrives? I’m sure people get nervous, but I do a lot to unbuild that. I start and then change things, so they feel it is not laid down in stone. I do everything I can to make them feel comfortable. I’m pretty sure people just want to be their best. I love ballet dancers — I know how hard they work and how much they worry. A lot of what I do is try to make that moment they’ve hoped for in their career happen. Dance your little heart out, you know? One of the ENB dancers he spotted was the young French dancer Noam Durand, who joined the company last year. A very modest and gentle person, but the man is a devil when it comes to batterie. He obviously worked his whatever off to acquire that level of skill, and you want to honour people’s efforts. I can remember how much it meant. You revive their faith.